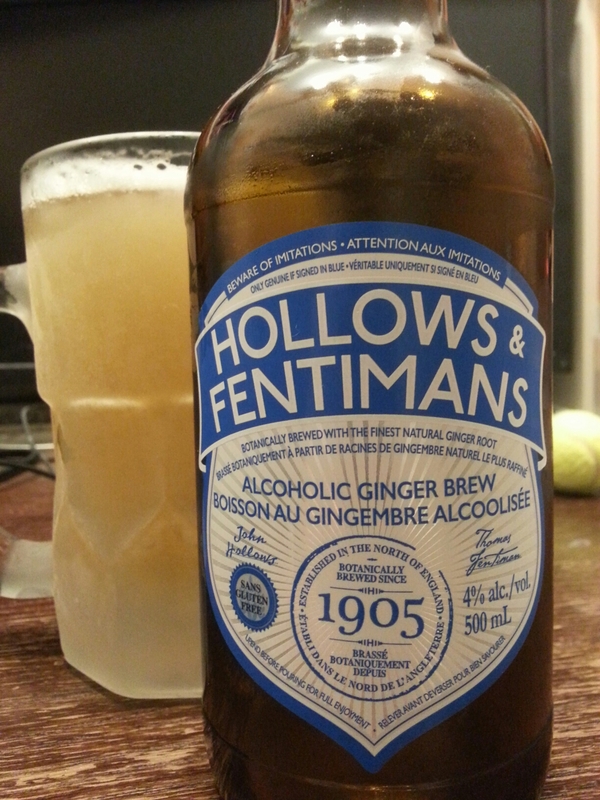 Hollows & Fentimans Alcoholic Ginger Brew – Thomas Hardy Brewing (UK) | Justintoxicated. -Is it categorically a beer? Let’s call it that since historically it was named so since the 20th century. 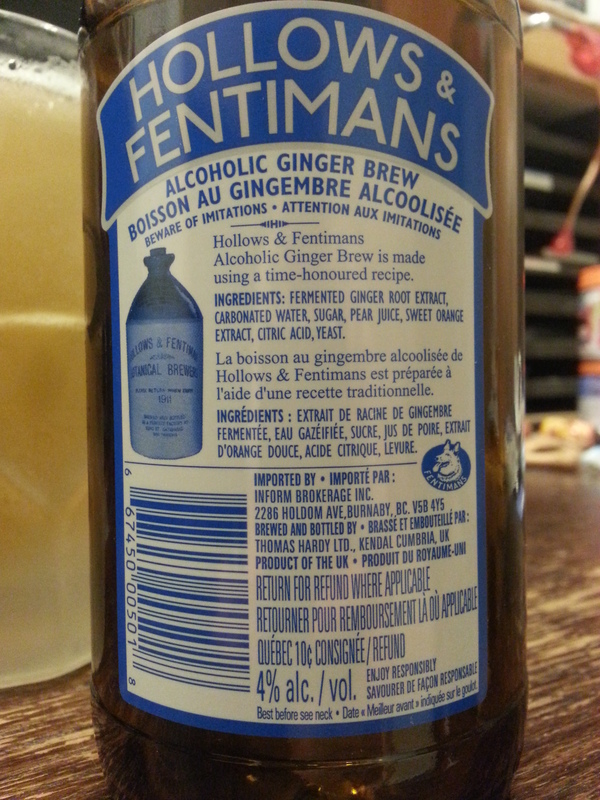 Ingredients: fermented ginger root extract, carbonated water, sugar, pear juice, sweet orange extract, citric acid, yeast. Visual: Pours cloudy pale yellow-orange with a decent-sized dissipating foamy head, thin ringed retention, lots of steady small streams. Finish: a tad cloying, mild ginger throat burn, ginger rootiness, residual sweet finish. Summary: Very crisp and refreshing with authentic ginger taste and burn. Decent body and depth. I didn’t know ginger and pear went so well together, I’ll have to try it a homemade ginger ale sometime (non-fermented).